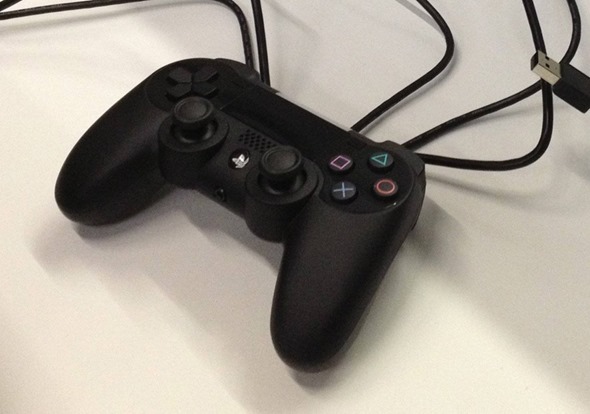 Following on from a report yesterday, in which Destructoid offered a supposed first look at what it claimed was the controller for Sony’s PlayStation 4, a second photo has today emerged depicting the same peripheral. Today’s image is a lot closer, and taken at a different angle – one which also reveals a 3.5mm jack on the underside of the controller, and from this perspective, the handles also look a certain degree longer. The consensus, based on the previous leak, was that the control pad was a prototype, subject to change, and that still remains the case. As you can see, as well as the longer handles, the alternative, curved analog sticks, LED strip along the top, and LCD (purported to be a touch-screen) are also clearer here than before. It’s likely that the 3.5-millimeter jack at the bottom would provide a connection for some kind of voice chat accessory, yet while the original image made it look as though the famous START and SELECT buttons had been completely removed – at least from the face of the device – it would appear as though they have been situated next to the LED strip. If you squint, you can just make them out next to Up on the directional pad, and the triangle button. The image was found floating around a number of gaming forums and thus, it’s hard to decipher exactly where it came from. 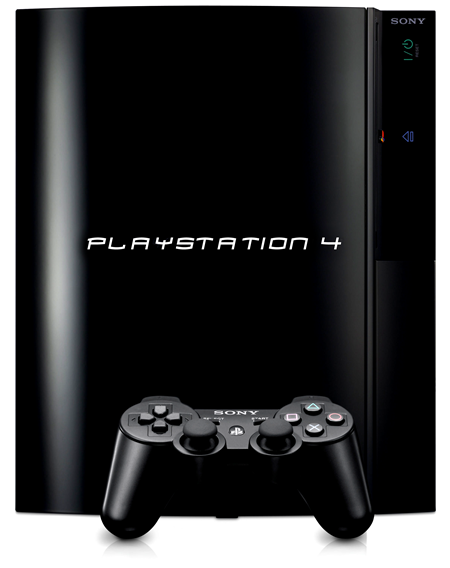 Moreover, since the major gaming sites seem collectively convinced it is a prototype, it should not be viewed as the final version of the PlayStation 4’s eventual controller. It does look as though, however, Sony has taken something of a leaf from Nintendo’s book by adding an LCD to proceedings, and although the size of this display implies it will serve only as a supplement to the main gaming experience (as opposed to a separate console in itself), it’s something gamers will continue to ponder over until the official announcement arrives. Next Wednesday, Sony will be holding its special event to discuss the future of the PlayStation brand, at which point all should become clear. It’s likely there’ll be a few more leaks before now and then as the excitement and anticipation regarding what the company has in store reaches fever pitch, but the keynote, to be held in New York City, will reveal all.